Note: This is my first mod, I'm unexperienced in making mods! 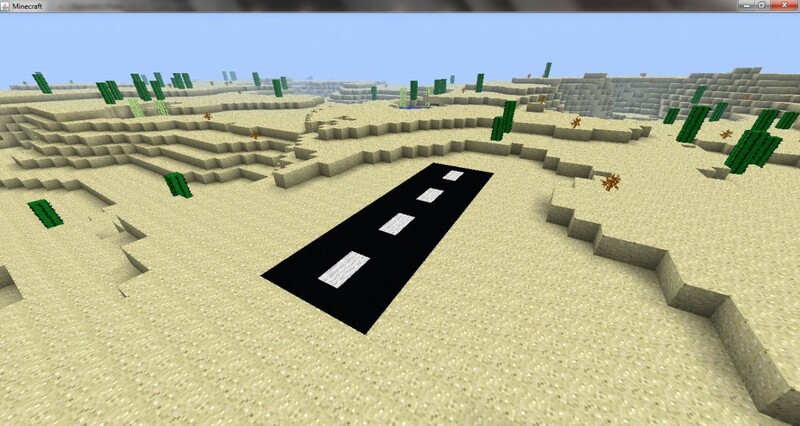 -This mod is basically one block added, the asphalt block. 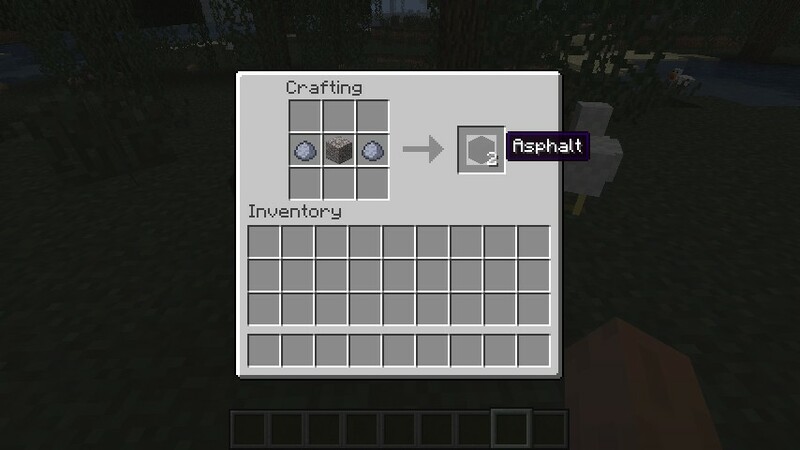 You mainly use it to build roads and highways in a cooler way than using black wool or obsidian. Dude, thanks so much! I was having this problem on my mod and i just happened to read this!! This is really simple and I like it. I wish they would add something like this to default. Diamond for you! Maybe you can find time to check out my submissions some time. 5000 Views 30000 Downloads...how should work that? Good question here. How do you end up with 6,948 views and 38,130 downloads? 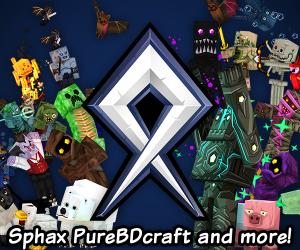 Is there some other site that you have this mod linked to, and if so, where? I've yet to find it and I've looked. If you have this mod downloaded somewhere else, let's see that other website so that it doesn't seem like you've found some way to pad your downloads to get levels. it doesnt matter if they so up in creative or not, use TMI in creative, and u will still get them, so diamond up! Someone should make some kind of oil mod. That would have been awesome! does it appear in tmi? just tried this in v1.0 with stone pick axes... no go... perhaps i have done something wrong??? are you meant to extract this into the .jar file? or can the zip be placed in the mods folder? Yeah but for some reason mod items show in creative weird huh? can you make a runway block too? and runway stripes and stuff? So... do you want to make a mod with me ? I need some help because 1 person it is difficult to make mods, and I need some tips, I have already done some Mods!! There are a lot of mods that add millions of things to the game, but even though this adds only one block to the game IT IS THE MOST EPICEST MOD EVER (maybe a bit exaggerated). 1. ModLoader can be easily googled, try that first. 2. This is my first Mod ever, I had to make a simple start. Not the biggest pic, and resolution. But, I find it after all: Clay and Gravel! With black wool it doesn't show up that dark, look rather gray in fact. so I don't put fire by it.. I used planes mod and my runway whas made of black and white wool and i crashed in it with one plane and then it burned. 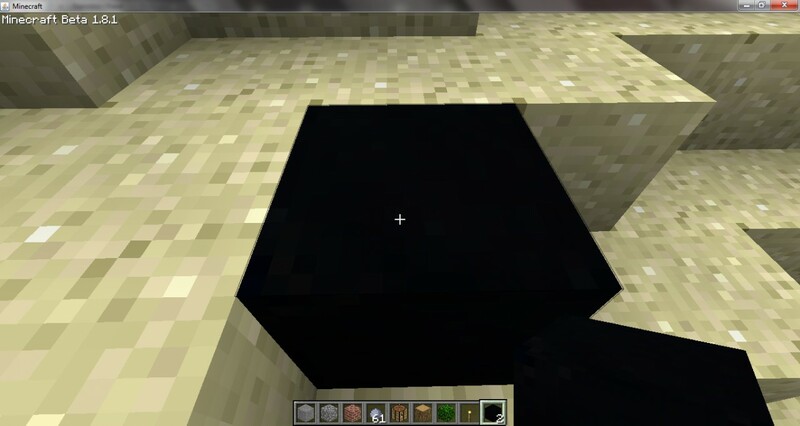 If you look ingame or at the third picture you will see that it's not just a black block.